HARARE – The High Court of Zimbabwe on 2 October 2018, suspended with immidiate effect, construction work that was being carried out on Hillside Park wetland by Glorious All Time Functions, a company involved in events management, allegedly owned by former minister of Labour and Social Welfare, Petronella Kagonye. 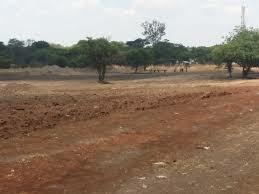 In a chamber application by the Hillside Park Association (HPA), an environment pressure group and watchdog, presided over by Justice Musakwa on 27 September 2018, under case number HC8817/18, an interim relief grant was issued suspending construction work on the wetland by Glorious All Time Functions. “The first respondent shall immediately suspend all Construction work on stand number 19 594 Harare, on the wetland known as Hillside Wetland pending the granting of a final order or satisfaction of all applicable and relevant statutory requirements and production of the relevant documentation,” reads court papers dated 2 October 2018. Harare City Council spokesperson Michael Chideme said council could not comment on a matter that was before the courts. “The matter is now before the courts. It would be subjudice to comment on it,” he said. HPA handed a petition to Harare City Council requesting the immediate discontinuance of Glorious All Time Functions’ construction work on the wetland. The petition was signed by over 40 individuals online which sought to block the construction of a wedding venue on the wetland and was handed to parliament on 25 September this year.